As promised (and sorry it is so late), here is our fun patriotic breakfast in honor of this past weekend! For the 4th of July, I thought it would be fun to do a little red, white & blue breakfast, and I happened to find fresh strawberries and blueberries at the farmer’s market, so it was meant to be. I broke out the waffle maker and got to mixing! 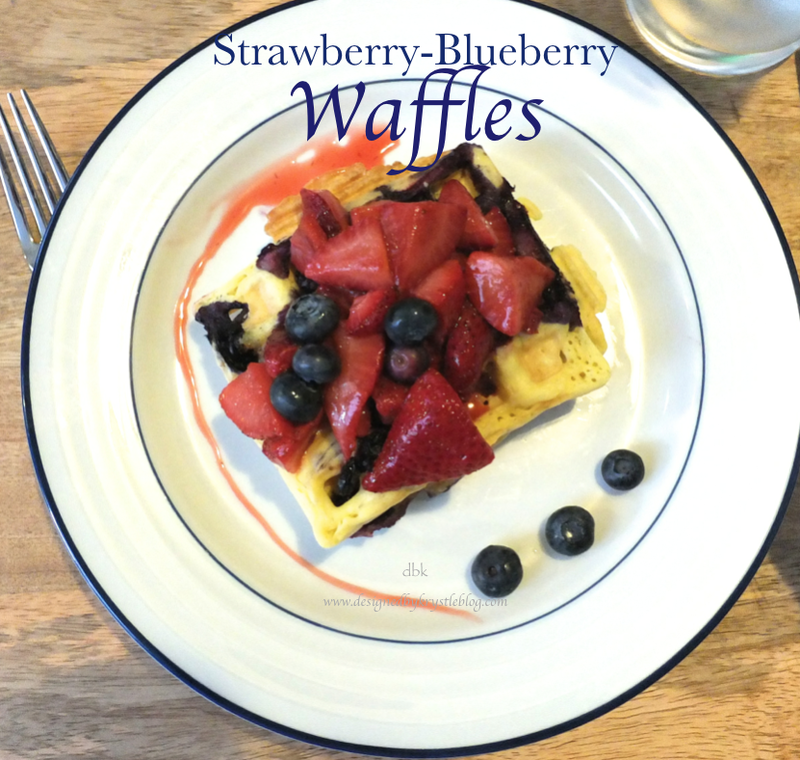 I love blueberries mixed into waffles and pancakes, but I prefer the strawberries as a topping. If you haven’t tried roasting fruit, it’s a must-try, especially if you are entertaining. The flavor becomes very full bodied. For these strawberries, I simply cut them, sprayed them with coconut oil, mixed in some vanilla and popped them into the oven at 325 degrees. You will be able to smell when they are finished, but expect it to be around 20 minutes. Once the waffles came out of the waffle maker, I just placed a few on plates, topped them with the roasted strawberries and voila, breakfast of champions. Such a great way to start the day. Not only is it a beautiful breakfast with all the colors, it is healthy and easy to make too!